AMERICAN WEST is not the stuff of what is patronisingly referred to as the "traditional" western; a world where it is always a few years after the Civil War and many years before the turn of the twentieth century. That was a good world, a fun world, and one that wore out its welcome some years back. "The evolving western is told from the point of view of African Americans, Native Americans, Hispanics, Asians, Jews and Gentiles, Mormons, Catholics, women and men. It is about America, it is about life. 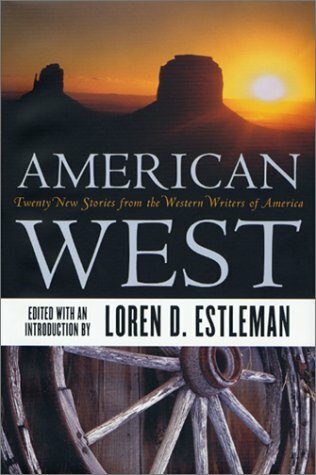 Whether the story's central character is a hangman or a midwife, a piano or a cowboy who hates tomatoes, you may be certain of one thing, if the tale reflects an expanding continent, it reflects the American West" - From the editor's introduction.